Described as one of music’s most influential reggae acts around today, the members of Morgan Heritage have returned with their 10th album, ‘Mission in Progress’, a new release that captures the band bottling the power of their stage performance on disc and infusing their songs with a heavier dose of hip-hop. 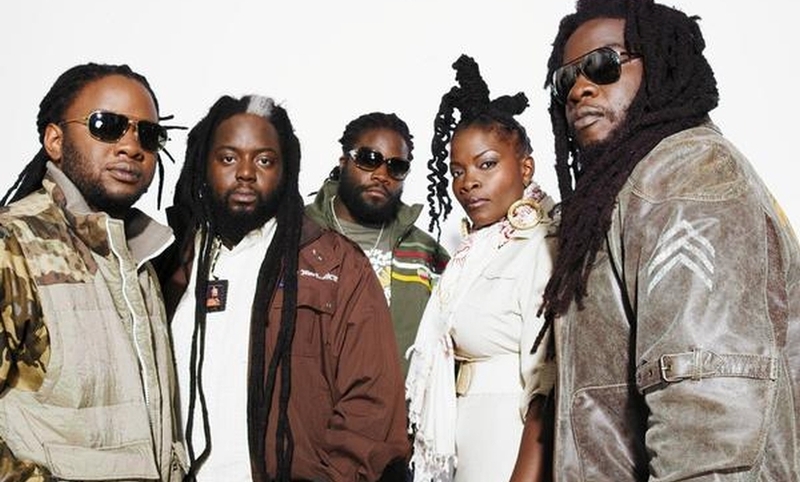 Produced by Morgan Heritage (with a few songs helmed by Shane Brown and Stephen McGregor son of reggae singer Freddy McGregor), Mission In Progress lyrically finds the group continuing their quest to bolster their love for both reggae and hip hop music. The new album comes after the band’s second stint on the Vans Warped Tour, the most consistently successful festival in the States over the past 10 years, and a haven for harder-edge bands, especially punk acts. The give-and-take, tension-and-release moments the band has experienced on the Warped Tour comes across on Mission in Progress: the band made sure of it, replicating tricks they use onstage, like doubling a horn line with an electric guitar – thus giving a particular track a beefier sound. “What we have worked on for the past three albums is to mainly bring the stage to record,” adds vocalist Peter ‘Jahpetes’ Morgan . “A lot of people come to our shows and they’re like, ‘Wow, you sound so much better than your record, it’s unbelievable.’ And we’re like, ‘Wow, what is this difference that they’re noticing that’s not on the record?’ They say they love the records, but when they come to the concerts, they fall in love with the group all over again. The album’s first single is ‘Raid Rootz Dance’ a re-imagined and renamed cover of a Steel Pulse song (‘Blues Dance Raid’). The release also features ‘Brooklyn and Jamaica,’ the group call’s the first song to represent both the old neighborhood and their home for the past 11 years. They were born in Brooklyn’s tough Bushwick neighborhood, but raised in Springfield, Massachusetts. “We’ve never written a song about where we come from and what we know about what we come from. Finally, it’s time to write a song about where we come from,”says Peter. The band signed to MCA Records in 1992. In a dozen years, the band has racked up several hits in Jamaica and abroad, thanks in part to collaborations with such lauded Jamaican producers as Lloyd ‘King Jammy’ James and Bobby Digital.